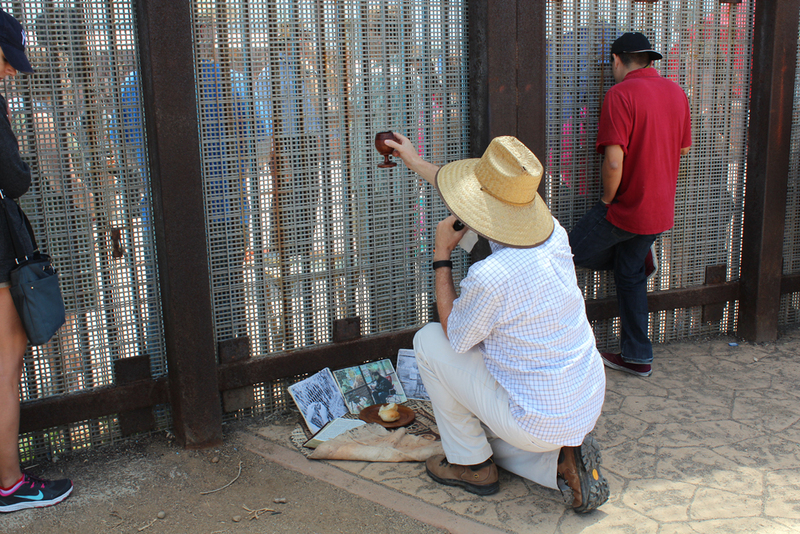 Grass roots community activists are many at the U.S.-Mexico border fence in San Diego-Tijuana. I’ve written about the Marcha Migrante, the Deported Veterans and the Maquiladoras Tour, among others. These individuals notice that the U.S. border with Mexico looks significantly different from the border with Canada. They also actively care for and minister to those affected by the militarization of the border with Mexico. Living daily with a fence, I would define these individuals as border people. Some say, we are part of a third nation. I would say that’s inaccurate. We are transnationals who live along a wide, invisible bridge. Today, I highlight border activist John Fanestil, who recently wrote an op-ed piece for the San Diego Union Tribune called Friendship Trumps Racism at San Diego Border Park. Born in La Jolla, Fanestil’s parents came from Kansas specifically for his father’s work. His mother raised four children while his father came to San Diego to do a medical fellowship and ended up on the ground floor of building up UCSD’s medical school. As a young man, Fanestil attended Dartmouth College during the dark days when the U.S. was arming the Contra rebels in the Sandinista Revolution of Nicaragua. He became involved with the international solidarity movement. Fanestil returned to San Diego in the late 1980’s and began working for the Central American Information Center (CAIC), a small group advocating against U.S. policy in Central America. It was a humble organization with only two staff members: Donald Cohen as director and Fanestil as his associate. Fanestil was twenty-five years old. He worked for CAIC for about two and a half years. At that time, CAIC was connected to a network of solidarity organizations, including the Citizens in Solidarity with People in El Salvador (CISPES) and a Nicaragua sanctuary movement of people in the United States supporting refugees from Central America. Fanestil organized campaigns around legislation in Congress and his aim was to try and get San Diegans to lobby their legislators to change U.S. policy in Central America. Impressed with the people on the delegation representing several different Christian denominations, the group took supplies and food to some of the poorest communities in El Salvador. 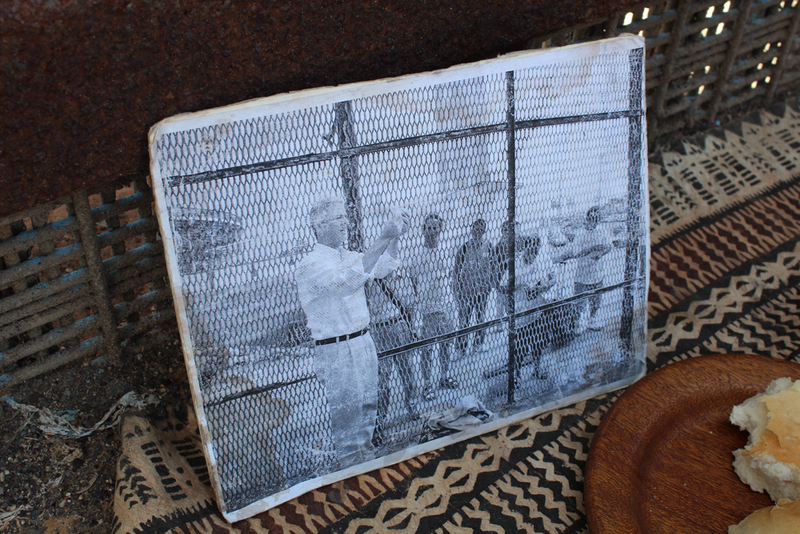 Seeing up close some of the circumstances people were living in, the challenges they were facing, and the political opposition they were up against from the U.S. government–all of this convinced Fanestil to steer his life in a new direction. Between 1989 to 1992, he entered the seminary at the Clairemont School of Theology. Fanestil hadn’t been particularly religious as a young adult. Nevertheless, his experience in Latin America changed him internally. Most importantly, during his seminary years, he became an exchange student in San Jose, Costa Rica. There, he immersed himself in the culture. When he graduated, his first post was serving as a pastor in a Methodist Church in Calexico. For Fanestil, it was exactly where he hoped to be. He was living and breathing Spanish daily. He not only worked as the Methodist minister, he also worked at the social service center called the Neighborhood House, which was part of the Methodist Church. He said that the border remained a very important part of his soul. At first he became a minister at a Methodist Church in La Mesa, but then decided to work for a small social justice foundation called Foundation For Change. One of the bigger projects Fanestil worked on was the 2010 census. His foundation gave small grants to leaders of communities to provide education and encourage people to participate in the San Diego census. He also participated in organizing immigrant leaders to access health services within their communities. 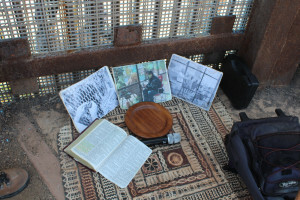 Along with his work and family obligations, Fanestil also dedicated time to becoming a border activist. In June 2008, he served communion in Friendship Park for the first time. This became regular for Fanestil until February 2009 when the government cut off access to Friendship Park in order to build additional fencing. Dan Watman describes Fanestil’s civil disobedience during those border building days. It took two years for Fanestil and his group, known as Friends of Friendship Park, to convince Border Patrol to re-open the park. In November 2011 Fanestil resumed services.